Brands more now than ever, are always seeking more ways to engage and connect with their customers. The new and most efficient way is through chat bots. It is said that Eighty-one percent of brands currently allow customers to message them on Messenger. Chatbots are used via Facebook Messenger and other apps such as Kik. Providing automated customer service, e-commerce, and content to consumers who are seeking quick advice and purchases. 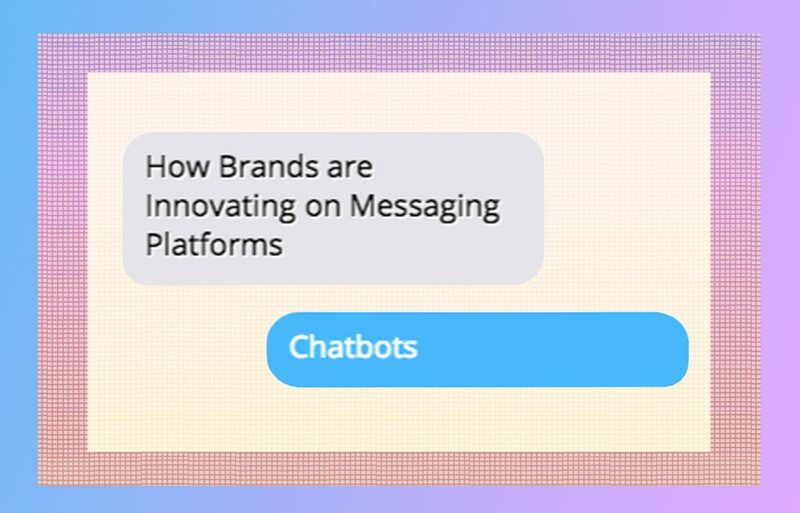 Chatbots are being used by a wide variety of brands and services such as Fashion, Food and Drink, Travel, Health and even Estate Agencies are beginning to use them. When the famous ‘google it’ option isn’t providing the information you feel you need, it’s reassuring that most information can now be provided through chat bots. From the history on the story of Anne Frank, to breast feeding advice with the NHS, to fashion styling advice from H&M and similar brands – the world of information is at your feet.